With all the focus with E3 being on the stuff that the big companies show off at their meticulously planned stage shows, it's easy to forget that backstage (proverbially) in the giant E3 hall there are a lot of other developers and publishers showing off all kinds of really cool stuff. First up is the remake of the very first game in the Yakuza series. This is a game that we have to assume that a lot of people will be interested in, after Yakuza 0 turned out to be such a massive hit in the west. What can you expect from this game? Plenty of brutal combat, a wonderful open world, based on Japan's real cities, and the trademark sense of surreal humour that the series often indulges in. 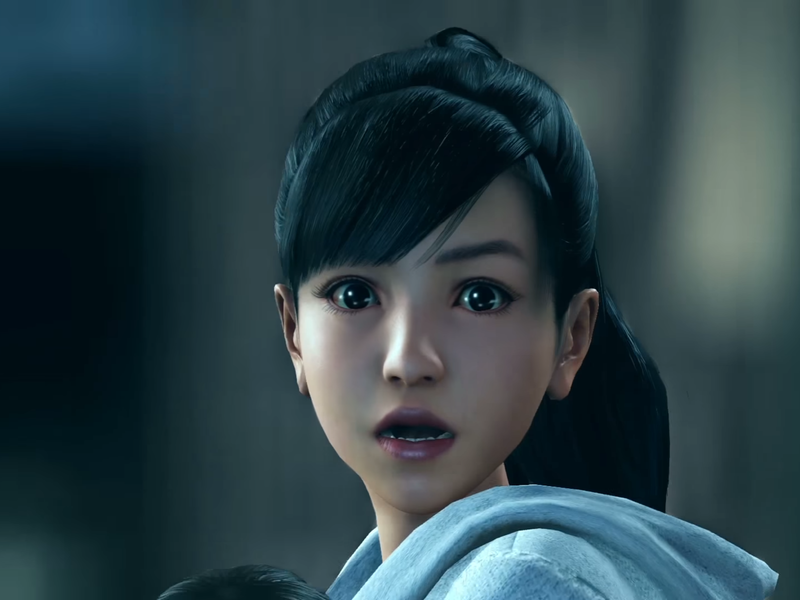 Yakuza 6 is also not that long away, and, unlike Yakuza Kiwami, this is an all-new game that continues the story of the series' various characters. As you'll see from the trailer, this game is impossibly gorgeous, and looks set to continue the darker and more serious turns that the series took in Yakuza 4 and 5. Don't worry - the sense of fun and humour will be there in the side quests still, but the main game looks like a story that everyone should want to experience. Look, who knows what will happen to the Etrian Odyssey series from here. It's one of the very few examples of games that absolutely relied on the dual-screen set up on the Nintendo DS and 3DS, to allow you to draw the all-important map as you adventured along. A single screen experience with (one assumes) auto-mapping just wouldn't be the same. Nonetheless, if this is the way the series is going to go out, what a finale it looks like it's going to be. One of the cult classics on the Nintendo DS was the original Radiant Historia, which gave players a beautiful, elegant, classical turn-based JRPG to enjoy. For a genre that was supposedly dead, it was a near perfect-proof that it's still a genre capable of surprising and delighting given half a chance. Who knows if this new game on 3DS can be expected to find a large audience, but I know one thing: Almost every person who played the DS original will be looking forward to this one. Why Atlus leaves the SMT series languishing on handheld hardware is beyond me. This series is all about its dark, majestic vision, and time and time again we're let down by a game's hardware not being able to visually represent that vision. Still, this will be the last SMT game before the series moves to the Switch (presumably), and it looks like it'll be another incredible little game. Perhaps the Switch can get a HD remaster of SMT: Lucifer's Call. then we'll really be talking. Atlus only released the first game in this series of visual novel/ tactics RPGs a few weeks ago, and it was a game we absolutely loved. The sequel isn't long away, and at E3 we got our first brief look at what to expect. Spoiler: It'll be much the same mix of beautiful art and Ainu (Japanese native people)-inspired culture. And that's all we need to know to get very excited for this one.